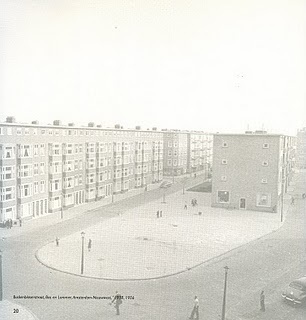 Whereas Engestroms is concerned with the role of social objects that can be shared through social networks, Van Dijk looked back into the history of architecture and found inspiration in Aldo van Eyck’s playgrounds. 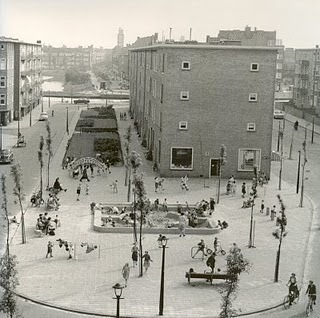 After the second world war this Dutch Archtiect designed more than 700 playgrounds for the city of Amsterdam which transformed numerous open and often derelict city spaces. These playground consisted of bare, geometrcial shapes functioning as sandpits and climbing frames. Primal Source (video documentation) from haque d+r on Vimeo. First, it has a moral component. Second, it has the aim of creating coherence, morphological coherence in the things which are made with it. And third, it is generative: it allows people to create coherence, morally sound objects, and encourages and enables this process because of its emphasis on the coherence of the created whole. Although A pattern language was first aimed at both architects as well as ordinary people who wanted to prove upon their enviromnent, in the 1990s Alexander turned to computer scientists. Could they design software algorithms that would help generate cities based on patterns that were livable and adjusted to a human scale?